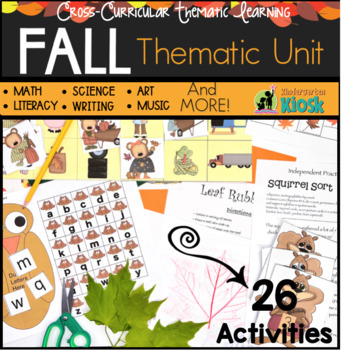 The Developmentally Appropriate fall or autumn unit is divided into areas of literature, media, music, art, literacy activities, math activities, worksheets, science activities, creative writing, word wall words, and guided reading. The activities are clearly written, easy to use, and need limited amounts of preparation. Hidden Sounds: Identifying Beginning Sounds. observe and record the seasonal changes of a tree.